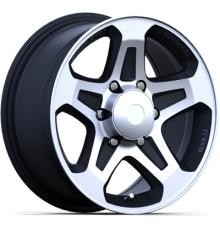 We can produce forged monoblock wheels with the cheapest price and best quality in the world. Light weight aluminum wheels have the advantage of aesthetic,and better runout,good heat dissipation,high strength and durability.Further more,they are fuel-efficient and good control and reach the purpose of low carbon life. Helium leak test system of automobile aluminum wheels,runs automatically,to test air tightness in travel process after tyre mounted.Using maxture of atomasphere and helium as testing gas,and using helium mass spectrometer to measure leakage rate. Dynamic bending fatigue test,dynamic radial fatigue test and Impact test are the basic test in this indurstry.To make sure wheels are safety,we excute 10%~20% more strict standard than JWL VIA.